A lot of the brides I've worked with have expressed a desire to arrange their own wedding flowers. Unfortunately, picking up flowers, prepping them, arranging them and transporting them to a wedding is something the bride cannot realistically handle in the days before her wedding. 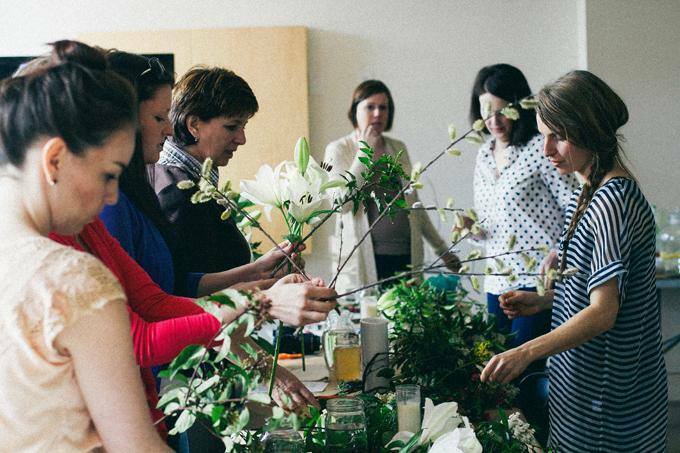 Because so much interest in this endeavor has been communicated to me I am now offering Wedding bouquet workshops for brides and their bridesmaids! ​Basically we would all meet up 2 days before the wedding to arrange the bouquets together. I will lead the bride and bridesmaids through the process so each person arranges their own bouquet. I will also provide snacks and Mimosas (or drink of choice). It's a unique experience to add to your wedding and a great time to relax and be a part of this detail in your wedding.